KH13 is Searching to Add to Our Super Rad Staff! We are currently looking for more staff to help contribute and work hard to keep KH13 great! Nothing beats contributing to the success of something you enjoy and love! We are especially searching for people to contribute to the Social Media Team. A big interest in the Kingdom Hearts series. Active enough to regularly post on the KH13 Community Twitter, KH13 Tumblr & KH13 Facebook pages. Helping to create the Poll of the Day each day. Scheduling monthly posts: Kingdom Hearts anniversaries, Disney film/SE game anniversaries, birthdays, music (fan-made and original) & holiday posts. Looking for ‘other news’ to retweet on the Twitter page (t-shirts designs, music album/manga/novel releases, podcasts, etc). Coming up with ideas for new features or expanding on current ones. If you are interested, don't be shy! Either post here or privately message me to apply. Let us know why you feel you would be a great asset to our staff. Good luck and will look forward to hearing from you! I know I'm not cut out for this, but don't be discouraged people! I send all my best wishes to those who get the job and hope you all succeed with it! I hope to see some great social media teams come out of this! If you are interested, really take your chance and go for it, it may be a great experience for you! Hey guys I'm Adam (or TC) and the past few times I heard there was a chance to become part of such an amazing community I was honestly too afraid to apply. Mainly because I didn't know if I'd be good enough or even deserve a shot. 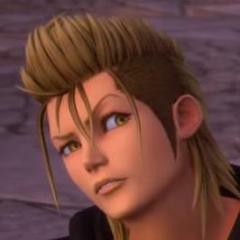 But I've broken that negative shell and realized that this feeling I have towards Kingdom Hearts should never be kept inside and I want to be able to share that love with as many people as I can. Would be quite a dream come true being able to accomplish that. I have so much to share and learn, and if you decide on this I'm most easily reached in twitter @TwilightCrown1. Thank you all! My name is Jacob Klassen and I believe I have what it takes to help out with the website's social media. First off, I am a huge fan of Kingdom Hearts and second, I was a social media analyst for Illinois State University's student newspaper: the Vidette, and I also studied at Illinois State University as a Communications major for three years from 2014 to this past May. I tweeted videos and text of sports news for the Vidette and have skills with Facebook and Tumblr. If I can do that, then I am confident that I'll be able to help out. Thank you for your time and here is my information. Good luck to all that apply. We hope that you guys will be able to help our social team spread the love of Kingdom Hearts across our social network. Who knows, I may see you guys on the News Team. Hey there, I'm Dylan or DK for short. Whew... how to NOT make this too bloated? I'll be frank. My impressionable 8 year old self was AWESTRUCK at first glimpse of the original Kingdom Hearts trailer that aired back in '02 on channels like Cartoon Network. I told my mother that I HAD to have this game. It simply WAS the best game in the world. Pretty convincing for someone who hasn't played it yet, right? But here I am, 15 years later and still in love with what turned out to be a series that never failed my first impressions or childhood expectations. My home is littered with games, soundtracks, manga, jewelry, clothing, throws, scrolls, figures, signs and more things I can't even begin to keep track of... Even my car is adorned by a decal and my dog given our famed protagonist's name. Pretty much everything short of cosplay... can't very well do that until I finish machining my keyblade, right? I already live and breathe this series. I may as well share that with a community of people that understand and do the same on some level. Beyond the series? I've spent my life working in electronics, gaming, home theater and now Auto CAD. I pursue eventual success in the voice over industry (a passion planted by early years playing KH and FFX). I am a pretty artsy person; always loved to sketch, play piano and even sing sometimes. But ultimately I always try to think outside the box, because nothing inside of it likes me very much... or vise versa... blegh. So that's everything I believe I could potentially bring to this team in one aspect or another. This is one form of social media that I feed on daily, rather than the mind-numbing war zone that is... well... the rest of the internet. The more I can help someone trying to brighten up the web with awesome, fan based news, media and *cough cough* kingdomhearts *cough* - AHEM... The better. There you go. Thanks for your time. Thanks for your consideration. Tip your usher on the way out. Here is also good? I'm around! Honestly, I do want to come back to the staff, but I don't think I'm ready just yet. I want to get things straightened out in my life first, but that will take awhile. Good luck to everyone who applies!